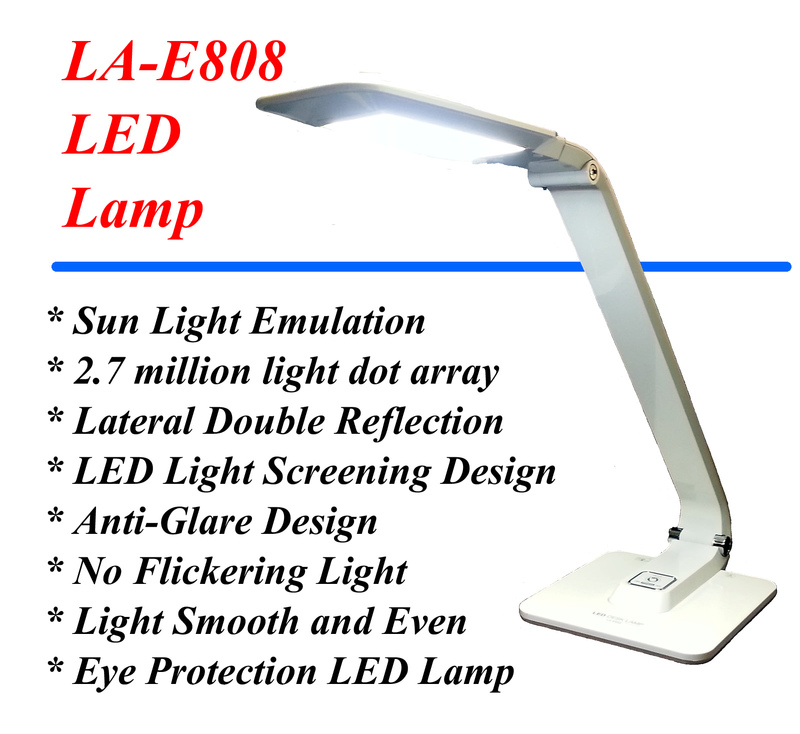 Sun Light Emulation LED Lamp - LA-E808 LED Lamp is emulated to nature Sun Lights. 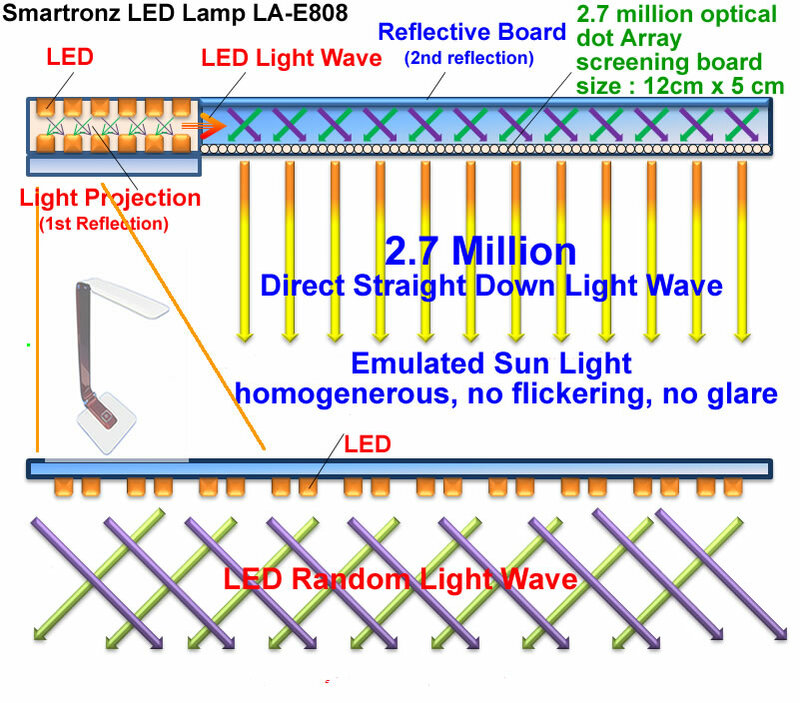 "Lateral Double Reflection" technology, a new LED invention to emulate natural sun light . LA-E808 lamp LED bulb use light reflection generate random multiple projection light wave(1st reflection). Projection Light wave enter reflection board to cause 2nd reflection to glazed object. 2nd reflectived light penetrate our special designed optical screening board with 2.7 million light dot array. 2.7 million arrayed light with interference each other then generate emulated nature Sun Lights. Advanced LED Light Screening Design - There is no other LED desk Lamp manufacture is using similar technology and also many manufacture is using LED light bulb only, without light screening mechanism and without light reflection method but claim they are "nature light". It may hurt your eye vision in the long run. 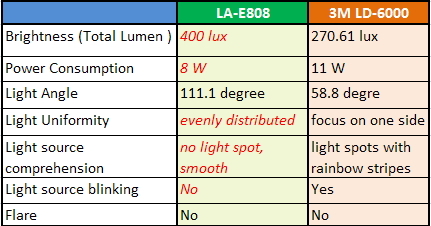 Unlike the other LED lamp use LED light bulb direct to the object, LA-E808 LED light is processed LED light with screening and reflection technology generate a soft, homogenous light. Our Lab experiment data prove our "Luminaries Photometric test" diagram shows our LED lights is more even and homogeneous than 3M LD-6000 LED desk lamp. Anti-Glare light - Lateral Double Reflection Anti-glare Technology (patent applying) emulate sun light will protect your eye, you won't feel tired for long reading! 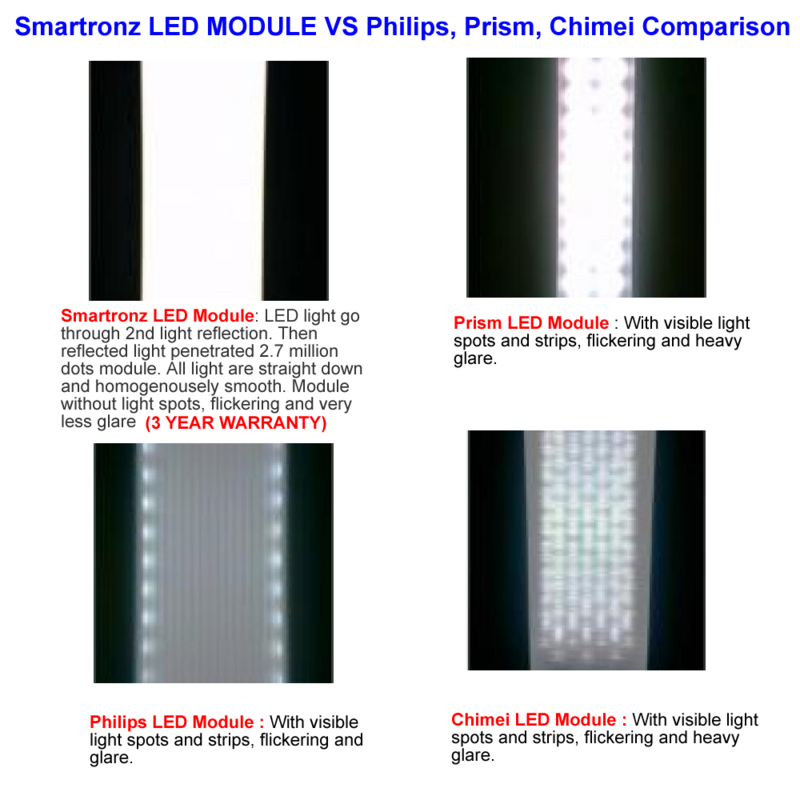 We dare to compare with any brand LED lamp Performance. No Flickering Light - Lateral Double Reflection Light with no flickering, with Glare reduction, Light feel smooth and even, Emulate Nature Sun Light. Once you light up, you will feel the difference. Modem Styling and Convenient Power Touch Design - We add 2 extra USB jack which is easy for other digital devices charging. Lamp body is using ABS heat prevention material. Thermal touch power switch. Easy for ON/OFF, hold touch to increase/ decrease light intensity gradually. It is extremely light weight, completely convertible, fold easily for portable and go.